It's that time of year again. The International seems to come around quicker and quicker every year. RevingtonTR will be attending again this year, under cover in Wye Hall, hopefully trying to avoid the sun baking the ground rather than rain soaking it! 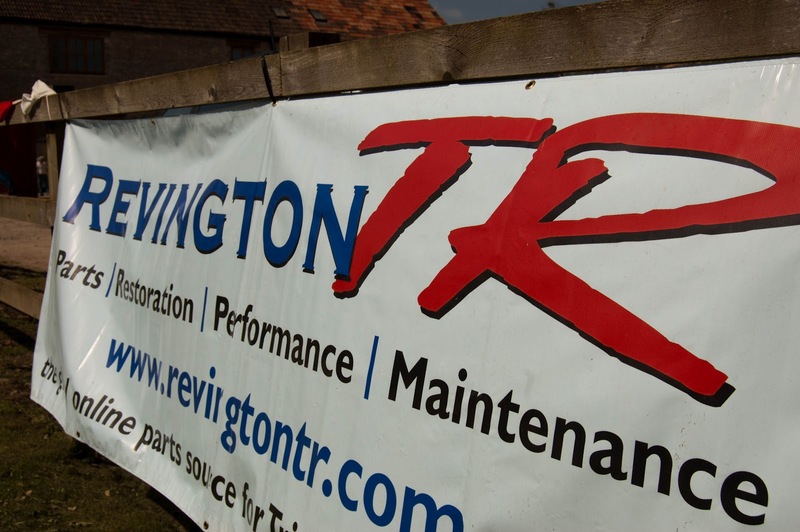 We will be bringing a display of Revingtons own products and other great products available from our catalogue. We will be supported by an expert from Evans Classic Coolants who will be available for questions. We will also have a chassis featuring many of our kits and modifications. We will not be bringing a great deal of stock to sell at the show, so if there is anything you require please give us a call beforehand. Let us know what you require and we can ensure we take it with us. We are looking forward to a great weekend and we hope you are too. As always, we look forward to meeting old and new customers and friends. See you all soon. We have many Dutch, German, French and many other nationalities that will be attending. Let me know how far you will be travelling to attend the event this year.